If you’d like to override MPEmbed’s default text labels, you now have the option in MPEmbed Premium to do so! Setting custom text works when combined with choosing a different language for MPEmbed + Showcase. This new feature works directly from the language configuration files — so you’ll see quite a few unfamiliar things that can be translated. Some of it is for analytics and some is for the Chrome/Firefox developer’s console. Have fun! If you'd like to see different text labels in MPEmbed, you can now change the defaults to whatever you would like! 'Highlights' not your favorite term? Change it! The highlights panel has received a huge upgrade! Now highlights appear as thumbnails in a grid with the signature ‘Walking’ and ‘360 View’ icons just like the standard highlight reel. In addition, dollhouse and floorplan views receive their own icons (first on MPEmbed!) — and links to other spaces using the &reels= parameter receive a ‘Play’ button. Also – Google / Adobe analytics have received a few tweaks. Highlight Reel logging now includes the label if created in Workshop. Logging of moving between panoramas will also include a label if create in MPEmbed Premium! There will be some more analytics announcements soon! AND! MPEmbed Premium celebrates the end of its launch month! We have 60 users! Incredible! I have had such a wonderful time communicating with so many of you! Your support, feature requests, bug reports and patience has made this project so very rewarding — and I hope that the features that I am able to create in this platform will, in turn, also be rewarding for you and your Matterport businesses! I’ve converted the roadmap page into a blog and will be allowing premium users to comment if they wish on update posts! If you’re logged in, you’re welcome to jump in! Happy Halloween! Got a spooky tour? Maybe you’d like to use &filter=invert! New Feature – Transition Blur – Go a step further with the latest feature — &blurtrans! &blurtrans=1 adds a slight blur between panorama transitions — &blurtrans=4 adds a massive blurry transition! 2 and 3 work too. Check it out! Premium users can interactively play around with this new customization. It really takes the edge off of things! As some of MPEmbed’s users know, new features come when people ask questions — and bug fixes come when people email me reports of bugs. Today, I had a particularly difficult space that I needed to apply color filters to and I ran into a few bugs along my own way — and a need for a new feature. 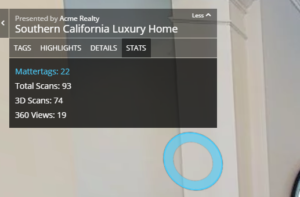 New Feature – &minimaphide360views=1 – I wanted the minimap to disappear while viewing 360 Views as I was working on an apartment community tour space and the minimap was not relevant to the 360 Views. Useful! Bug Fix – Premium – Individual Settings for 360 Views – Filters can now be applied to 360 Views. Not being able to was an oversight and a bug stood in the way of allowing it. Enlarged UI for Large Touchscreen Displays – You can now use &scaleui=1 to increase the display size of the About Panel and the UI icons (Dollhouse, Floorplan, Inside, Fullscreen). This works along with the Horizontal Flip Button too (Premium feature — perfect for showing alternate options for home builders and apartments). Show Mattertags on Minimap – You can now use &minimaptags=1 to display Mattertag Hotspots on your minimap! They work just like normal hotspots and the Mattertag Directory and will reposition your visitor right in front of the Mattertag! Stay tuned for an update to the SDK in a few weeks that will allow MPEmbed to also open the tag as well as instantly transition to its location without a ‘fly-to’ animation. Hide All Panos on the Minimap – Premium users can already selectively disable panorama hotspots. Now you can remove ALL panorama hotspots with &minimapnopano=1. This is handy if you’d like a Mattertag ONLY minimap! 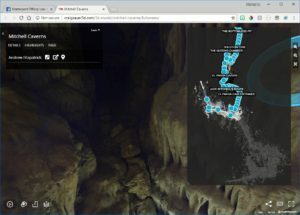 New Features!&minimaptags=1 — Add Mattertags to your minimap!&minimapnopano=1 — Remove all panorama hotspots from your minimap.&minimaptags=1&minimapnopano=1 — Minimap with only mattertags for navigation!And — &scaleui=1 — 2x Scaled UI for use on massive touchscreen displays! Bug Fix – Premium – Pano Labels – Updating labels on individual panoramas was not updating the text in the pano list. That’s fixed. In addition, having a custom pano label would remove the pano # from the pano list – that’s fixed too. Bug Fix – Premium – Compass + Fixed UI – The compass was ‘stuck’ when ‘Fixed UI’ was enabled. Fixed! Bug Fix – WP3D Models Custom Title Fix – When WP3D Models applies &title=0 and &brand=1 when it shows a custom title overlay during load, MPEmbed will still show the details box. Hide Title / Presented By – MPEmbed now works with &title=0, &mls=1 and &brand=0. These options will hide the title when loading and the top left about box. Having &details= enabled will still show the details panel. 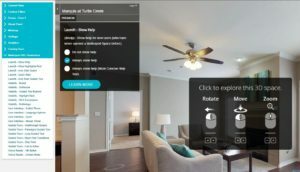 Premium – Resolved a few UI bugs — Matterport Standard URL Parameter options that were set to 0 (&mt=0, &title=0) were not showing their checkboxes as checked when reloaded. Custom Filters were not being added to the minimap or global filter panel if the panel was already open. &mtrans=2 – Experience a new transition between Mattertags when the ‘fly-to’ method fails. When viewers click on a tag in the Mattertag panel, they will ‘fly-to’ the Mattertag (and generally reach the location of the Mattertag). When this fails, MPEmbed will fly out to dollhouse mode (or floorplan mode if this is disabled) and then try again. I have created a secondary option that will instead cross fade to the location of the Mattertag with a small 3D transition. This is based on a quirk in the SDK that I have discovered. Premium UI Fixes – Tint panel redesigned; bug with checkboxes not showing as checked when swapping tabs fixed. Thank you for reporting bugs! In addition to minor visual improvements to Premium’s Control Panel, I have begun to list known bugs, the time submitted, and the time resolved. Deep links were not working; turning off features was resulting in no change when saved. Both issues are resolved. Thank you for your patience with the Premium launch! One of the most requested features has now been added — Mattertags can be reorganized within the Mattertag directory by dragging and dropping them! It’s super easy! Sort the Mattertag Directory with Drag and Drop! The most requested feature for MPEmbed Premium has been the ability to sort Mattertags! I'm thrilled to say that the feature is now ready!The next most requested feature has been the ability to group Mattertags. Stay tuned! A special shout out to Doug Tse in San Francisco — your compass feature has arrived! Find this new feature in ‘Premium Features’ and visually set ‘True North’ to calibrate your compass widget! Have you ever been asked by a client if you can add a compass to your space? It's easy! &compass=1 and &compassnorth=90 (set the degrees). Premium users can visually set north! If you encountered some bug issues with setting certain showcase parameters to zero — it’s taken care of now! MPEmbed previously viewed any setting that was set to ‘0’ as being ‘off’ — with the exception of &mt=0 — which had some programming put in place to allow. I’ve retooled Premium to allow ‘0’ to be a valid value. You’ll notice that ‘disable minimap’ and other options in premium that had a ‘Do not display’ option have had this option removed. Now you can simply ‘uncheck’ the option to disable it. Filter transitions have been improved so that all filters cross-fade. Previously, transitions would be instant when they were not simply brightness and contrast adjustments. This has been fine tuned and for the most part, transitions are all quite smooth now! Saved filters are now found at the bottom of the ‘Custom Filters’ panel. It’s better to keep everything filter related in one panel! If your client (or someone else!) has embedded a space with MPEmbed and you would like to regain full control over how the space is configured, now you can! You must embed your user id (mpu) as a hidden Mattertag and then turn on the ‘Disable Parameters’ option in the ‘Settings’ panel. Premium users can now configure all of Matterport’s standard URL parameters in a simple user interface! It’s never been easier to customize a Matterport Space! Additionally, free users can embed any standard URL parameter into a Mattertag and it will also work! MPEmbed spaces will now open in a new tab when viewed on mobile. This replicates the behavior of Showcase, when embedded — and just like Showcase, can be bypassed with &play=1. The MPEmbed Minimap gets an upgrade! Now you can see the previous floor at 50% opacity! Inspired by Craig Sauer and Michael Asgian’s tour of Mitchell Caverns. Also &minimap=3 (Start Maximized) has been removed (sorry!). This setting was problematic with initializing the zoom and resize controls. Premium Beta – Thank you to all of the first adopters! Lots of little changes happening as people have begun using this tool! After we’re stable, the ‘Beta’ label will be taken off. Problems thus far have been related to ‘Unlimited’ signups not actually processing credit cards, Professional accounts showing PHP code instead of forms (yikes) and a few helpful observations that have been shared that have required some adjustments on how premium spaces are shared. Thank you to everyone who is doing more with MPEmbed! MPEmbed Premium is currently in beta. This means that it has not yet been tested with actual users. If you would like to sign up, subscription options are now available starting at $9.95/mo! Showcase v3.0 presently has a bug wherein only 1k tiles are served when a tour is loaded. Resizing the browser window or zooming in will initiate load of 2k and 4k tiles. I added a fix a while back to this bug that would automatically resize the showcase frame to 99.9% then back to 100%. This fix stopped working and I’ve fixed the fix 🙂 I’ve also reported it to Matterport. &hotspotnumbers=1 – Show hotspot numbers on the mini map. Numbering is in the order that scans were made. MPEmbed Premium Demo – Massive UI overhaul moving option configuration into the About Panel and pano settings and color adjustments into the configurator column. This allows users to always have access to all tools at once and improves accessibility on smaller screens. Everyone is now welcome to try out MPEmbed Premium! Head over to the ‘Premium’ page to try a fully functional demo. Google Analytics Bug Fix – Use of Google Analytics was causing MPEmbed’s overlay to fail to load. This has been corrected. A new infobox panel has arrived! If you’ve ever wanted to share some details about your space, such as the # of scans, # of 360 Views / 3D Views, # of Mattertags and # of labels, now you can! &stats=1. Just like with details, mdir and hdir, the number defines the order in which the panel appears, so you can combine with other panels — &details=1&mdir=2&stats=3&hdir=4. If you set all 4 to ‘1’, stats shows last. The logged output for Google Analytics has been standardized in a format that I hope will be more helpful. In addition, bleeding edge support has been added for Adobe Analytics (&aa=ACCOUNTID).